Oh Ulduar, you’ll always have a special place in my heart even if i never got to experience you while you were current. I finally finished off this silly achievement that’s been in my log for six months now. Every time i’d decide to complete it, i’d get distracted by something else in game. The times i did go and attempt to complete it, i’d mess up and end up killing stuff too quickly. 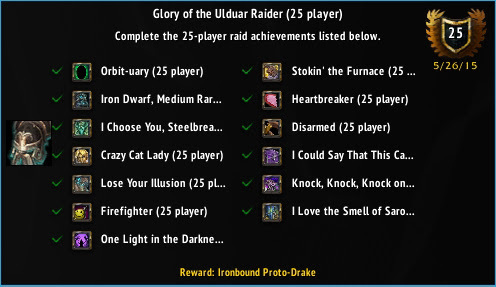 I think i messed up the Disarmed achievement a dozen time, which is hilarious since it’s probably the easiest one. 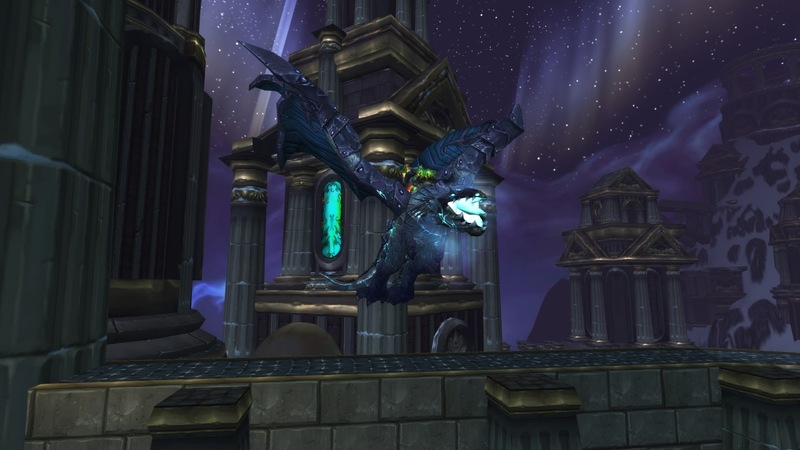 Anywho, i finally got my Reins of the Ironbound Proto-Drake and my Ulduar achievements are complete. I’ll be back for the last mount from the zone though, if it ever drops.